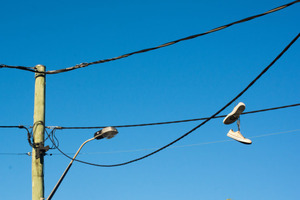 Those suspended shoe signifiers – Miguel Marquez’s best guesses. 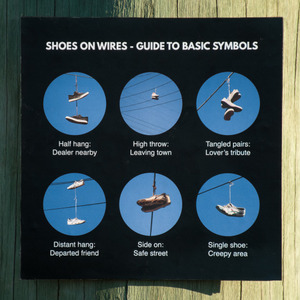 Posted in Art/Craft and tagged Signs, trainers at 7:22 am on May 30, 2016 by Broadsheet. recently there has been an increase in high heeled shoes on lines – Rathmines and South Circular road at Leonards Corner as far as I remember… very odd as they have no laces co have to be tied together.